How come people who go there are never seen again? Does the villa "eat" people alive? It tells the story of Ana who has always been having nightmares about certain people getting killed of Madre Na Aswang. Things become scarier when her ex-boyfriend brings her to Villa Estrella where she meets a girl named Gisele who seems to be very familiar to her. 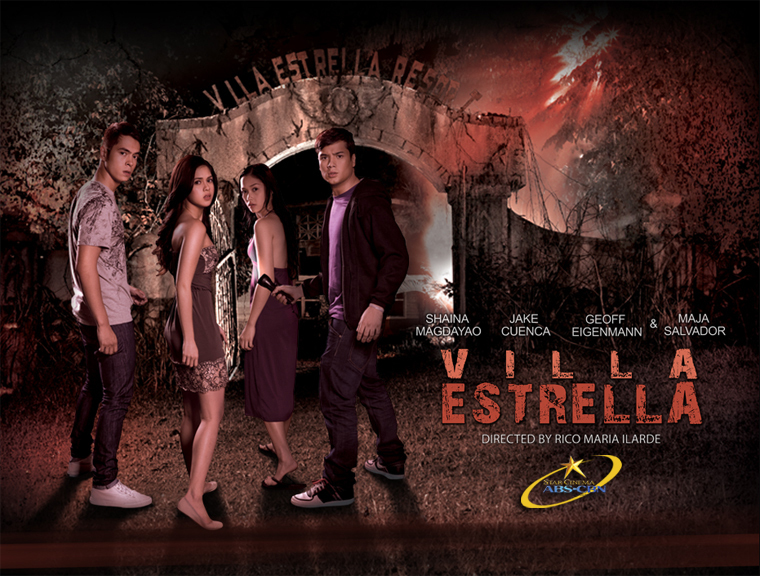 Villa Estrella is a 2009 Philippine horror film produced by Star Cinema for its 16th anniversary offering, It stars Maja Salvador, Jake Cuenca, Geoff Eigenmann and Shaina Magdayao in the lead role, and is directed by Rico Maria Ilarde.